This material is excerpted from Training Deaconesses the Manitoba Way! Manitoba College’s Deaconess Training Program 1920 to 1939, by Sherri McConnell, 1998. Winnipeg, Manitoba was home to a Deaconess training school. This made-in-Manitoba program began in 1920 through the Presbyterian Theological School, Manitoba College became a United Church program in 1925. The Women’s Department continued on until 1939, the year that Wesley College and Manitoba College officially merged into United College. At this time the Women’s Department disappears from historical documentation. In 1908, the Thirty-fourth General Assembly of the Presbyterian Church in Canada gathered in Winnipeg. After hearing the report from the Committee on an Order of Deaconesses, the court voted on and subsequently established a Deaconess Order. Ewart Missionary Training Home, in Toronto, had been established in 1897 under the auspices of the Women’s Foreign Missionary Society to train women missionaries. With the new Order in place, the curriculum expanded to fit the needs of students training for Christian service in any sphere of the Presbyterian Church. But Toronto was a long way from the west, although the reasons for establishing the program are not clear. Manitoba College was incorporated in 1874 as part of the Home Missions work the Presbyterian Church undertook in the decade following the 1869-1870 Riel Rebellion. From the early 1890s Manitoba College worked cooperatively with the Methodist Wesley College. In order to prevent duplication of services and in the spirit of ecumenical co-operation, Manitoba College stopped teaching arts to focus solely on Theology, and Wesley College shifted to primarily Arts in 1914.The interest of Principal John McKay in the deaconess movement is likely a factor in providing a School of Training for lay workers and Deaconesses, “with a view to preparation for church work of a practical kind”. (1918-1919 Calendar) By 1920-1921, the program was the “Women’s Department – for the training of women as home and foreign missionaries, social service workers, Deaconesses and church secretaries”. 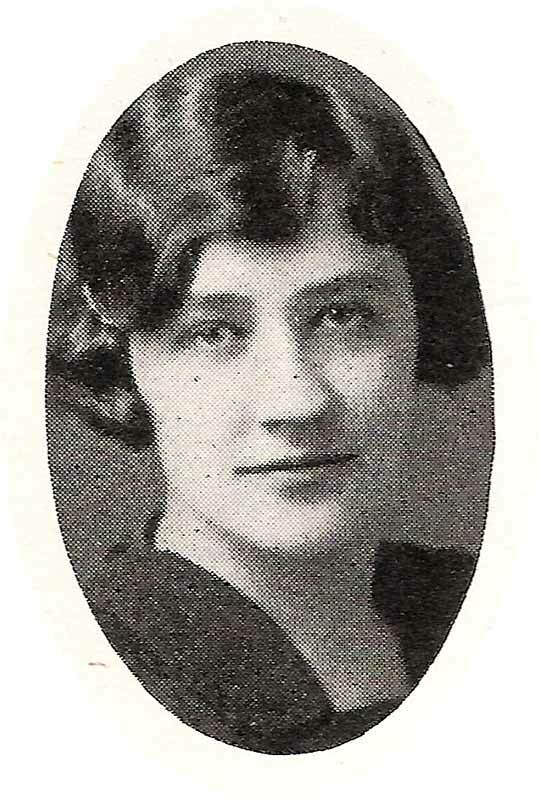 Dorothy Kushner (Wiznuk) a 1928 grad of Manitoba College Women’s Program became the first Ukrainian Deaconess in the United Church. She married a minister, and lost her Deaconess status. The program was a two year course of six months each. In terms of curriculum, the Women’s course followed the same basic framework as the Theology course. Parallel courses included: the Bible – Old Testament and New Testament, Religious Education, Church History, Vocal Interpretation of the Bible, and Mission Studies. There were classes for Christian Doctrine, Social Service, Physical Culture, Medicine and Surgery Personal Work, and Stenography and Typewriting (optional). The women did not get any training in preaching or church polity. By 1922, changes in requirements for Deaconesses resulted in changes for admission. Candidates needed to be between the ages of twenty and thirty-five. They also now required as a minimum University matriculation or its equivalent (such as a Teacher’s Certificate, Nurse’s Diploma, or Business Certificate, as long as such circumstances included three years of High School and successful experience). Other requirements included a certificate of membership of the Presbyterian Church in full communion and references to their Christian character and suitability and a medical examination. There was no charge for tuition for the Deaconess program, but there was a fee of $1.00 for registration and an additional charge of $3.50 for associated organizations. A Ladies’ Residence had been purchased at 35 Kennedy Street to accommodate twenty-two deaconess students, other female students or Deaconesses. The cost for residing at 35 Kennedy was a reduced rate of $5.50 per week for students in the Women’s course. However, even after Church union in 1925, the numbers in the program are not large. From sixteen women in 1922, by 1929, the Women s course was down to five students. As the depression hits the Canadian prairies the school is in a difficult financial state and the student numbers draw into question maintaining the program. With the sudden death of John McKay in 1938 the program lost its champion. The last graduate, Marguerite Miller, completed the program in 1939 and was designated a Deaconess two years later. Sherri McConnell’s paper demonstrates that the Western based program and its graduates were often invisible, even among the Deaconess community, a group that was itself often disregarded and neglected. List of graduates from the program. Entries on Emily Hayter and Emily Martin from the 1927 Yearbook, Vox Wesleyanna, click here. To read more about individual graduates visit the website dedicated to the telling the lives of United Church Deaconesses, UCCDeaconessHistory.ca.